I’m embarrassed to admit it, but my family likes chocolate chip cookie dough batter— better than the baked cookies! This version contains no eggs, and can be served as a dessert on a sweet table. It’s a perfect bite-sized treat that will be enjoyed by all ages. In the bowl of an electric mixer, combine margarine with the sugar until light and fluffy. Add almond milk, salt, vanilla, flour, and chocolate chips and mix well (the chocolate chips can be mixed in by hand). Form dough into one-inch balls and arrange on a baking sheet lined with Gefen Easy Baking Parchment Paper. Freeze for 30 minutes. Meanwhile, melt chocolate in a double boiler. 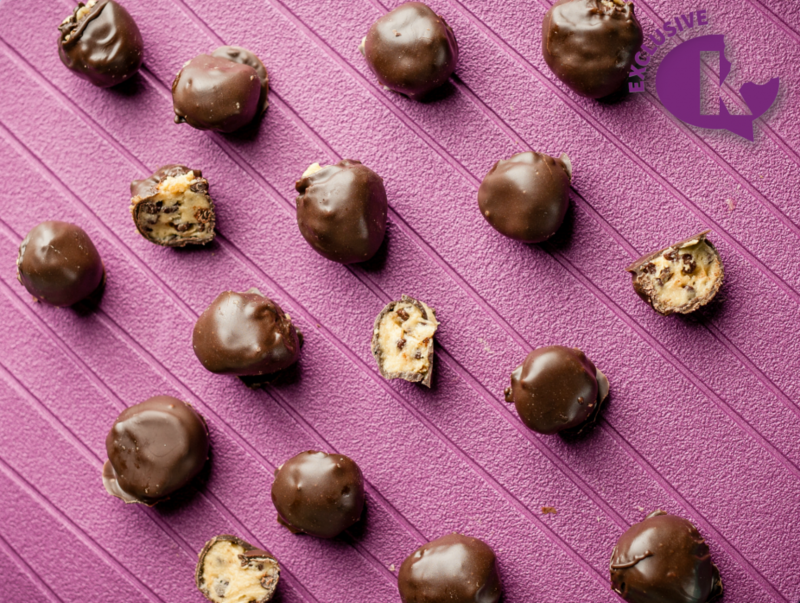 Using a fork, dip the chilled cookie dough balls into melted chocolate to cover. Tap fork on side of pan to remove any excess chocolate coating, and return to the lined baking sheet. Freeze until ready to serve. These taste delicious straight from the freezer.